Written by Preston V. B. So you want to find the Best ATVs you say? After discussing these points, you’ll be ready to answer the $8,493.52 question. I’ll give you my recommended “best ATVs”, but I’ll also give you the tools and education to find your own best ATV. I am also looking to add a second ATV to my own stable, but this time my situation is more complex, so don’t worry, we are in this together. First thing is first. What is out there these days? For those without prior knowledge on the subject, it can seem confusing. That holds especially true for the stubborn consumer, which I happen to resemble. Today’s market is bigger than ever and has evolved at an exponential rate over the past 10 to 15 years. My first adult ATV, in 1996, had a 300cc engine with four-wheel-drive and was covered in steel racks. It was an endangered species in my riding circles. I was surrounded by Blasters, Banshees, and the like. All sporty. 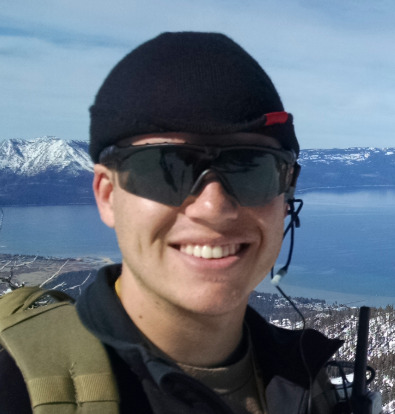 I never could keep up in the open desert, but friends didn’t mind, and occasionally didn’t have a choice. When they got stuck, I caught up and pulled them out effortlessly. A 300cc engine was near the top of the range then. Fast-forward to 2007 and my 700cc, an early example of “Sport-Utility” had been surpassed in engine size before I ever owned it. I still have that 700 and have taken both it and the 300 out together. Over those ten years the market has changed dramatically. When the brands realized that “Utility” ATVs could be made to perform sportily, and in most cases still retain some functionality and ease of use, the pure Sport ATV’s began to fall to the wayside. Many of the great sport quads are missed today. They were the first to push limits in suspension, going wider than any other ATV. Some, in the later days, even had Independent Rear Suspension (IRS). They also pioneered fuel injection for more power with more consistency. These days the ATV buyer has more to choose from, and with competition tighter than ever. Even I, in all of my mechanical snobbery, can honestly say there is no actual “wrong answer”. 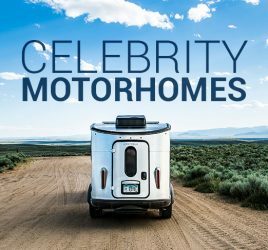 Not only are there more models today, there are more variations with more options and features than most would think could be had on an ATV. How about windshields, heated grips, automotive style power outlets, power steering. Want a sound system? Maybe GPS? There is a thing for that, and none of those things are terribly new developments at this point. For more good news, manufacturer names once thought lost are being resurrected with pride. Utility ATV: The do-it-all machines, they bring low-speed-power, more advanced and versatile suspension, the go-anywhere abilities of four-wheel drive, and the ability to haul loads & pull trailers with their front & rear racks and hitch receivers. These machines will do most things in comfort compared to their sporty thoroughbred relatives. Work, camping, playing; they’re all no problem. Nowadays, most utility ATV’s have automatic transmissions. While slower and heavier than sport quads, they do more and go more places. Utility quads are like riding a friendly bear instead of a horse. 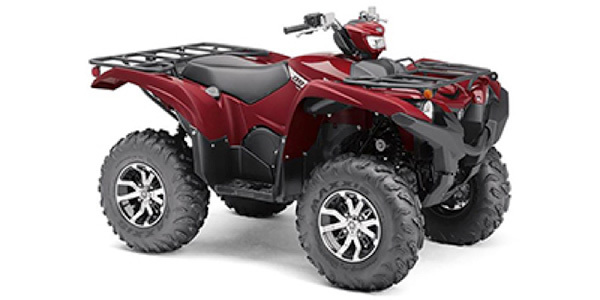 Youth ATV: These are your beginner ATV’s with engines as small as 50cc up to nearly 200cc. The model range in this class provides a multi-tiered system for developing responsible adult riders. The machines are smaller overall, have simpler systems on them, and avoid the complicated bells & whistles. They are made for ease of use, low maintenance, and are able to be easily limited by adult supervision. As with most ATVs, there’s more options these days, so a 14-year-old is not stuck on a 6-year-old’s ATV until they turn 16 and can step up to adult models. Read through our 5 best youth ATVs for your kids and learn more about what to purchase. Now that you have a better understanding of what is available and how to search for what you are interested in, let’s discuss how to narrow down that search. Rollick also has a great primer on everything you need to know about ATVs if you’re curious for more information. and the newly revitalized Arctic Cat, who has returned to the game and its seat at the top of the alphabetical list. Each of these manufactures, by honing their preferred methods, have developed core competencies, things they’re best at in the industry which I will discuss. In terms of value, the whole Arctic Cat range stands out with an average price of $6,937. Arctic Cat is also one of the easiest to shop, as they have a well-organized model range. They bring all the most important features to the part such as Independent Rear Suspensions (IRS), Electronic Fuel Injection (EFI), and Electronic Power Steering (EPS). With Textron putting its muscle behind the brand and keeping a name that people love, the future of Arctic Cat should be exciting. I for one will be interested in how the risen-again brand develops its products moving forward. After all, in one of the Cat’s earlier lives, it was king of the jungle with 2010 Thundercat 1000. Honda builds consistently reliable vehicles, whether it’s the Honda CR-V or the Honda TRX. They have been in the ATV game since before ATVs as we know them today were a thing. 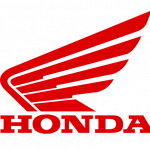 Just Google “Honda ATC” or “Honda Pilot FL400” both circa mid 1980’s. While in recent history, Honda has been a bit behind the cutting edge of technology, they wrote the book on simplicity and reliability. Only in the past few years did the proportion of their models with IRS tick over the halfway mark, while the rest are almost exclusively IRS. The transmissions are bomb-proof, they still use metal gears while the rest are belt driven, you can even still have a foot shifted model. Hondas will take a kicking and keep on ticking. My old 300 is a Honda and it survived many abuses not fit for print, including my teenage years, and never let me down. To this day, 23 years later, it continues to do its duty on my cousin’s small horse farm in southern New Mexico. Speaking of technology and performance, at the far forward end of the spectrum is Can-Am, formerly known as BRP. From unique frame and IRS designs to a high-tech front differential, and an evolved EPS and even a digitally encoded key, they leave nothing on the table. Can-Am also has the most powerful engines currently on the market with their high proof 1000R cranking out 91 HP. 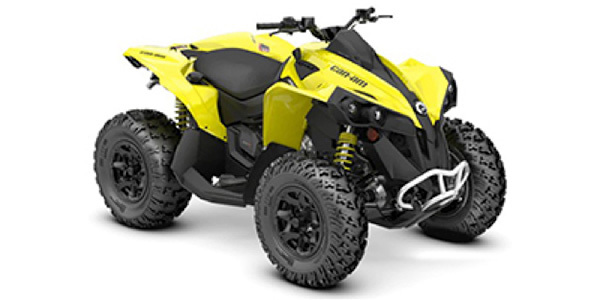 Can-Am’s are the exotic super-quads of the bunch with sophisticated features and top-notch performance. A very close second to Can-Am, as it relates to technology, is Polaris who has made massive progress in developing all new engines in the past several years. Their 1000cc engine produces 89 horsepower. While having the power, the perception of speed and performance is not as pronounced as with the Can-Am models, Polaris products are famously big boned, making them a notably heavier than their competitors. The benefit to that is that they are as tough as they come. The more analytical buyer reading spec sheets will notice that the Polaris payload ratings are higher across the board. The following is not a recommended use for an 800+lb machine, but I watched a Polaris catch enough air to clear a small SUV, land hard enough that the belly of the machine touched the ground, and it took it all in stride, continuing to roll as straight as ever. The US Army’s Special Operations Command chose Polaris ATV’s to be dropped out of aircraft and sling-loaded under helicopters. Enough said. A relatively newer classification of ATV is the Sport/Utility. These came about following the advent of big bore, EFI engines which made 600+ lb Utility models feel a lot lighter, and so other features came to complement that. Representing Can-Am, here is a stripped-down version of their Rec/Ute, sans racks, hitch, etc. called the Renegade, which can be had with either of three engines up to the 1000R. One of the first manufacturers to get major press coverage using the new phrase was Suzuki. Their stalwart flagship, the King Quad brought a new combination of features when it first hit the market in 2005. While appearing to be all Utility, with metal racks, and a mount for a hitch ball, the engine shares design and technological elements with their race-winning sport motorcycles. The front and rear brakes work independently of each other, giving the rider an extra degree of precision and control, and the strategic use of aluminum kept weight down in certain areas while preserving strength in others with steel. The model lived up to its royal name by delivering an agile, sporty feel without taxing the citizenry into poverty. The Suzuki King Quad is a leader for the people as an excellent all-around ATV, after all, they invented the ATV as we know it today. My 700 still sits upon its throne in my trailer. An honorable mention is due to the nearby realm of Yamaha, as their Grizzly 700 is a favorite friendly rival to the King Quad as they are near evenly matched in every measurable aspect of performance, and their engine is a time-tested favorite of the people. By comparison to the Rec/Ute segment, the pure Sport segment seems like an endangered species. Yamaha is the only manufacturer currently represented with two models. This group once thrived, with representation from nearly every maker and in the mid to late 2000’s saw impressive innovations. Wider suspensions, and even IRS were the standouts among them. If those were still made today, I would readily have one. The hallmarks of Sport quads are lightning fast maneuverability and acceleration, and almost aeronautical aesthetics/looks. All examples in this segment feature fully manual transmissions and clutches, which likely contributed to the decline in their mass appeal. I don’t believe they will ever completely disappear though as there are too many connoisseurs to allow extinction. For the main event, I’ll breakdown the best ATVs of 2019 by value, all-around, and performance, including best beginner ATV. As a gesture of transparency, I will disclose that I have a personal philosophy of “Rugged Simplicity.” This shows up as an inclination toward base models. Now, onward to the answer to that $8,493.52 question. That dollar amount, by the way, is the average Manufacturer’s Suggested Retail Price (MSRP) of a new ATV in 2019. 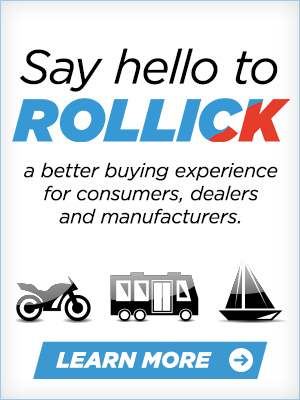 If that sounds like a lot, read through Rollick’s definitive guide to getting an ATV loan to help you through the process. When you’re ready to get an offer on your ATV, make sure to see all of the best available ATV incentives, rebates and deals here. If you’re confused as to how these incentives work, you can read through Rollick’s ATV incentives guide. The best beginner ATV, for adults that is, is the Arctic Cat Alterra 300, priced at $4,299. Compact in engine and overall size makes it manageable for even the youth market. It weighs in at a featherweight 477 lbs. Its controls are essentially carbon copies of those on the more advanced models. The suspension is respectable amongst beginner ATVs, and ground clearance is above average. The standout feature though is its fuel capacity. At 4.3 Gal, it one-ups its nearest competitors by over a gallon, and rivals the capacity of most midsize and even a couple of full-size quads. Given its engine, the greater likelihood of a beginner rider, and that enormous fuel tank, this Cat will purr for days. This exactly why I appreciated it when I was younger. The shorter length and wheelbase may be a constraint to more advanced riders who might throw a leg over this one, as climbing ability will be a bit less than larger machines. However, novice riders will be content. The party trick to this model is that while excellent for beginners, it is marketed as no slouch for those putting it to work, it is said to punch a bit above its weight class. The racks are usable, and it will tow, both things not ubiquitous to this class. Even trim and lighting are improved over the class average. 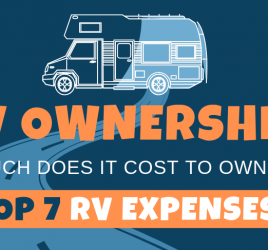 There are slightly less pricey options for beginner riders, but the Cat delivers more than the one or two hundred dollars that you would save. The Arctic Cat Alterra 300 stands ready to get a new rider started comfortably down the trail plus have the growing room to keep them entertained longer than its competitors. The best-value crown for ATVs has seen more competition in the past few years as consumers clamored for simpler machines and more accessible price points amid the rush to add more bells and whistles to these vehicles at ever increasing prices. The market tops out at $15,149 for the highest-end version of the most powerful machine on the market, tailormade for the nastiest mud around. The one that steals the best value crown is the Can-Am Outlander 450. This one is like bringing Colt 1911’s to the gunfight at the O.K. Corral. It really is next level stuff, for $5,999. Going with this ATV, a buyer gets specs once exclusive to the big boys. Suspension edges out the top spot with a massive fuel tank of 5.4 Gal, and the footprint is enough to reach over most obstacles while remaining planted. Granted, this is a full-size chassis with an engine of mid-size displacement, but nothing else brings quite this level of firepower to this price range. Can-Am’s Rotax engines are famous for consistently punching above their weight, often matching the output of some other engines up to 300cc larger. One could easily expect to pay a lot more for such a machine, but fortunately we don’t have to! The Arctic Cat Alterra 500 warrants mention as it addressed concerns that an intermediate or better rider would have about its little brother, the 300. It gains the modern trifecta of selectable four-wheel-drive (4×4), Independent Rear Suspension (IRS), and Electronic Fuel Injection (EFI). Most of the specs improve, and with minimal weight gain to a relative lightweight 613 lbs. This medium Cat comes in at $4,999, a full $1,000 below some things with slightly smaller engines and slightly less suspension travel and ground clearance. For the best all-around ATV, the battle rages between the Suzuki King Quad 750 AXi and the Yamaha Grizzly 700 EPS. These two remain the contenders not for being the most powerful, but for being the most powerful while also weighing 100 lbs. lighter than the those atop the power mountain. A few of these abilities are mechanically at odds with each other. The key to success lies in the balance. In a previous generation, the Suzuki King Quad arguably reigned supreme. After all, that’s why I got one. The Yamaha Grizzly has broken with status quo as the first thing that stood out to me is that there is no model without power steering. That is left to the Kodiak, which can have the same engine. The Grizzly remains the top chassis in Yamaha’s line up and now is oriented more towards luxury. It is a well-appointed machine that will make a rough day on the trails more comfortable. It is leggier than the Suzuki with just over an inch more suspension travel on each axle. 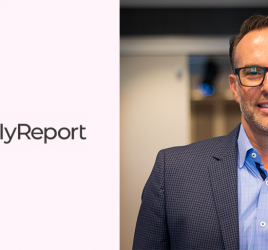 It has surprised other reviewers with its ability to reach over obstacles and soften large impacts. Ergonomics have improved, controls are easier to reach and take less effort to employ than they did on elder bears. Already having solid utility cred, Suzuki just caught up this year. Their most recent updates are more sport-oriented with a side of convenience in the form of board storage. To most buyers, these two are such close competitors that the decision could easily come down to personal tastes. These two machines continue their battle for the title of best all-around ATV, but in this latest round, I must give the nod to the Yamaha Grizzly. Now for the big guns, the top dogs, the best high-performance ATVs on the market. Polaris and Can-Am rule this realm with their big twin cylinder engines and near double-digit suspension travel and ground clearance. 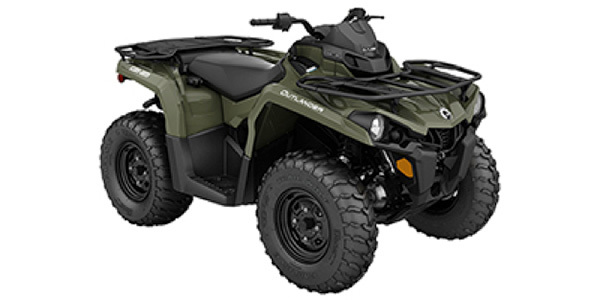 For those who wish to retain the down-to-earth ATV abilities, there are the Sportsman and Outlander models respectively, both with 850 and 1000cc engines. The price for all that quad is weight. The big-tire mud versions break the half-ton mark at 1020 lbs, in the case of the Can-Am Outlander X MR 1000, followed by the Polaris Sportsman 1000 XP High Lifter Edition at 972 lbs. At the clear opposite of the performance spectrum are the pure sport quads. Yamaha reigns alone in this class with two machines, each weighing under 425 lbs. First is the competition-minded YFZ-450 with its highly capable chassis. The YFZ-450 is wider and has more suspension travel than its big brother, the Yamaha Raptor 700. The Raptor shares an engine with other Yamaha 700s, but puts it to a unique use by today’s norms. The engine’s versatility and capability speak for itself; it was brought back by popular demand from inside and outside the company, it is trusted by many loyal Yamaha fans and it simplified production for the business. In this application, it makes for the biggest, baddest sport quad around. The Goldilocks ATVs in the high-performance sphere, as well as my personal favorites, are the “Sport-Utility” quads. These do it all, if you don’t have to haul much. 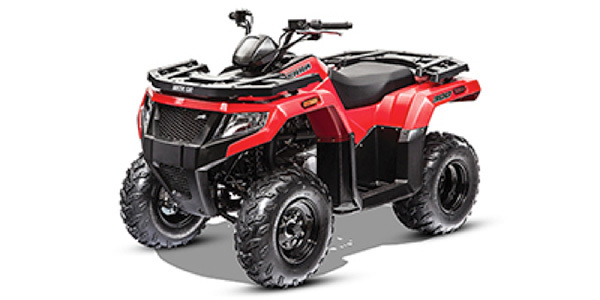 Sport-utility ATVs combine the power and speed of a sport quad with the go-anywhere-drive train and suspension of an advanced rec/utility quad. More aggressive versions are ready for long distance racing right out of the box. Polaris was right on target here for a while with the Scrambler 850 and 1000, with the latter achieving that 89 HP. Their current architecture, using a longitudinally mounted engine (crank shaft parallel to the frame rails), made the seat narrower and easier to maneuver than the rest. Shifting body weight for desired effect is most readily done on this model. Coupled with the rest of the excellent features Polaris is known for, their AWD system, big suspension, bombproof frames, and friendly take-a-punch-for-you power steering, the Scrambler may look a bit funky, but it was the clear winner here. Unfortunately, I fear it has resigned to the past tense, as much as I don’t want to acknowledge the fact, as it appears the 1000 model rode off into the sunset in 2018. The Can-Am Renegade 1000 has been upgraded to 91 HP. Not only is it the most powerful production ATV in the world, but the Can-Am Renegade 1000R is 15 lbs. lighter than the Polaris Scrambler 850, weighing in at 710 lbs. That is a welterweight figure these days. 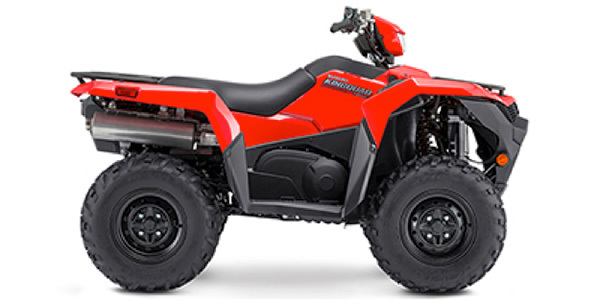 When stepping up to the X-xc trim of the Renegade 1000R, the suspension is upgraded to race quality Fox shocks, the factory wheels have beadlocks, and there are factory hand guards, as well as extended foot pegs. The rest of the previously mentioned bells and whistles are present as well, the Tri-Mode EPS, Digitally Encoded Security System (DESS), etc. The Can-Am Renegade 1000R is the only sport-utility model that meets both of my subjective criteria for the segment, having no racks and split/independent brakes, front and rear. Of course, the top notch Can-Am build quality is there too. The Can-Am Renegade 1000 X-xc has it all. Suzuki has gone to impressive depths to improve the 750, all the way to the bones. The frame is stronger, which sets the stage to allow for increased capacities, the steering geometry has been revamped to be more stable, the 3rd headlight has returned, and more. The KingQuad 750 could easily be called the most improved, with a consistent pattern of improvements over the past few years. The key takeaway from this guide is that it’s ultimately a subjective matter. But, I do hope this analysis makes it easier for you to select the appropriate ATV for your needs. Know yourself, and your intentions and judge each ATV accordingly. Hopefully I have helped shed some light on the process without getting too nerdy. May your find your perfect ATV, and when I return to the right continent, I hope to see you out on the trails and dunes of North America.